New! The Cure Hydrophilic Kit. Available in 12FR-16FR. Shop Now!. 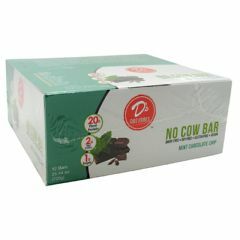 AllegroMedical.com presents The D's Naturals No Cow Bar - Mint Chocolate Chip Protein Bar Gluten Free. Dairy Free. Soy Free. Gluten Free. Vegan. In my own personal quest to better health, I was surprised to discover that natural doesn't always mean healthy. I struggled to find natural products that tasted great, but didn't add any harmful ingredients, like sugar. That's why I created D's Naturals, where we are redefining the word natural. We use only the healthiest ingredients, so you can believe in what you eat and feel good about the choices you make. Protein Blend (Brown Rice Protein, Pea Protein), Isomalto-Oligosaccharides (Prebiotic Fiber), Roasted Cocao Nibs, Almonds, Glycerine, Cocoa Powder, Natural Flavor, Sea Salt, Erythritol, Monk Fruit Extract, Stevia. Allergen Statement: Contains pecans and almonds. Produced on equipment that also processes soy, wheat, peanut, milk, egg and tree nuts. I can't believe how considerate Allegro is in getting their orders out to their patients! It is good (especialy the way the world is today !! /sometimes we as patients are foggy and can't remember things like we wish we could and Allegro is never longer than 5 days getting my products to me. Thanks again so much,I will tell others of your wonderful company! !